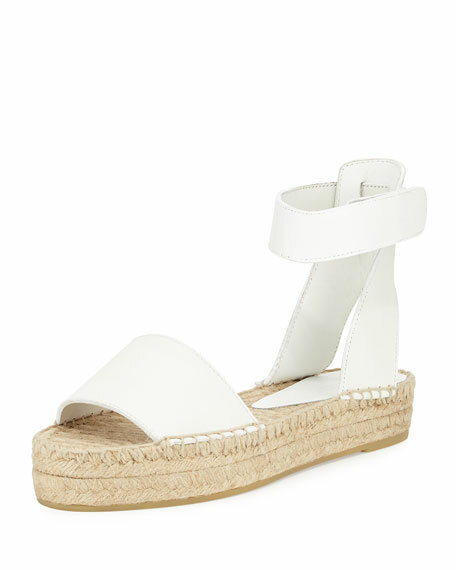 Vince espadrille sandal with leather upper. 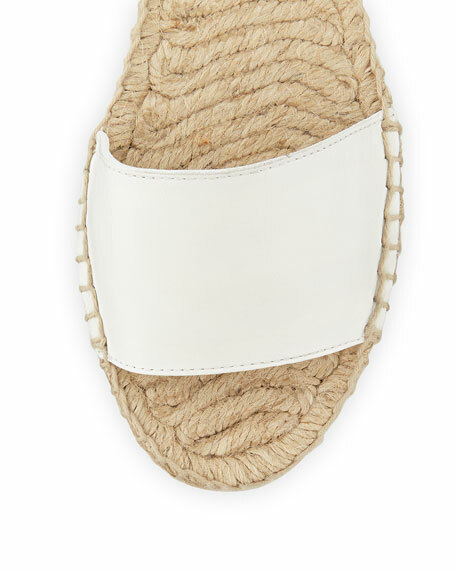 Ankle strap with grip-strap closure. 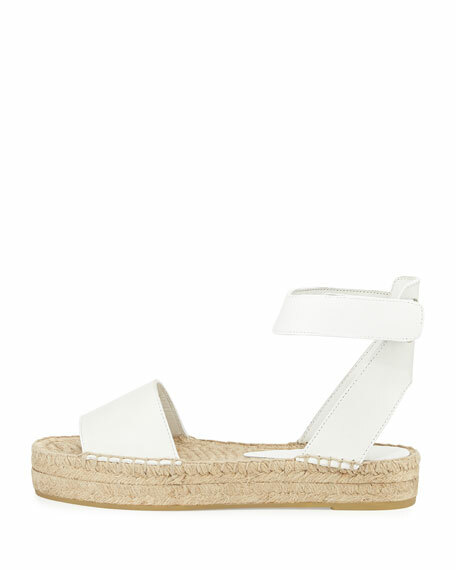 "Edie" is made in Italy. Please note: if you are between sizes, it is suggested that you scale down a size. For in-store inquiries, use sku #180570.